Last weekend, we celebrated Easter a week early with my extended family and this year we decided to mix things up and decorate Funfetti® Cupcakes instead of eggs. Decorating cupcakes is way more fun and tastes a lot better than eggs. And remember a couple weeks ago I told you that I stocked up on Funfetti® mixes on my weekly shopping trip to Walmart? 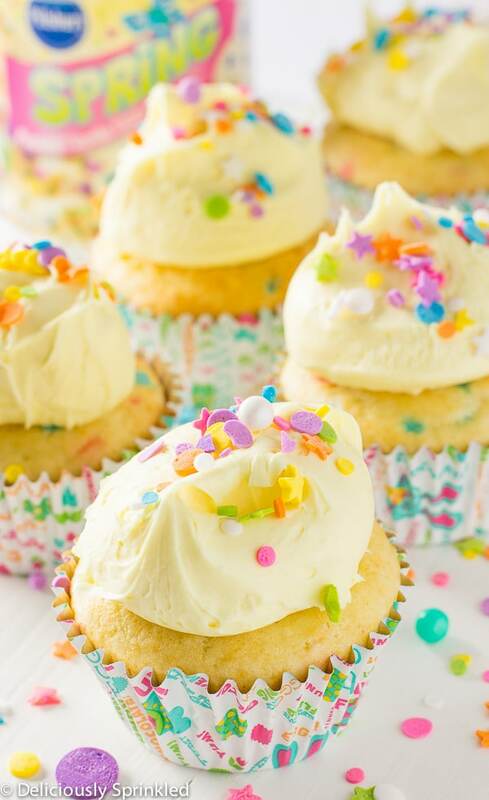 Well, that made it easy for me to bring everything we needed to decorate cupcakes to my families Easter celebration because I already had the Funfetti® cake mix and Funfetti® frosting mixes. My family loved using all different types of SPRINKLES to decorate their own cupcakes. 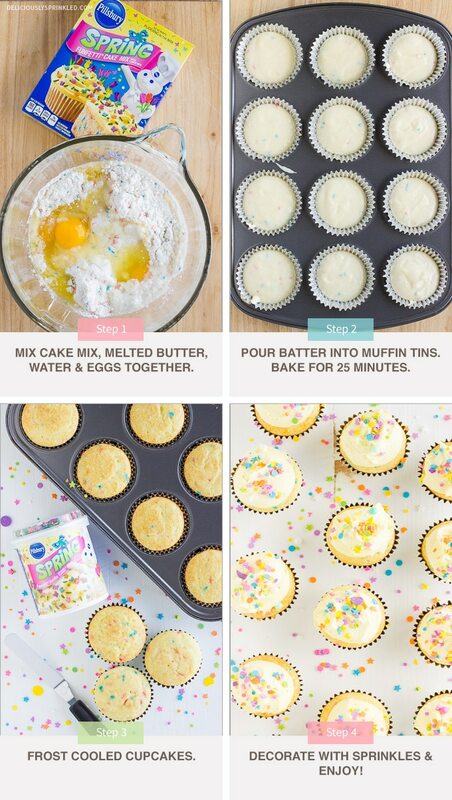 So this Easter, mix up a moment and make your own Funfetti® Cupcakes this Easter. HAPPY EASTER! ✓ MELTED BUTTER INSTEAD OF OIL: I like to use melted butter instead of vegetable oil because it adds a little extra flavor to the cupcake and the cupcakes come out so moist. They taste homemade without all the work! PRE-STEP: Preheat oven to 325F degrees. Line (2) cupcake pans with 18 cupcake liners. Set aside. STEP 1: In a large bowl, mix cake mix, melted butter, water and eggs together until combined. STEP 2: Fill each cupcake liner about 3/4 the way full with cupcake batter. Bake for 25 minutes or until toothpick inserted in center comes out clean. Allow cupcakes to cool before frosting. 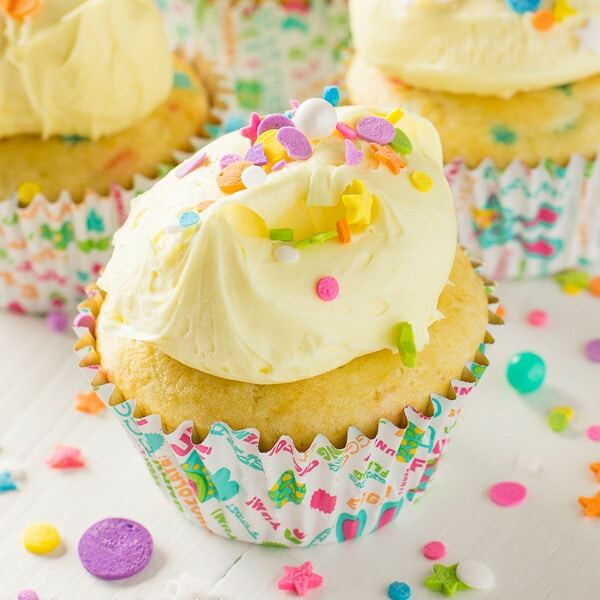 STEP 3: Frost cooled cupcakes withPillsbury™ Spring Funfetti® frosting. 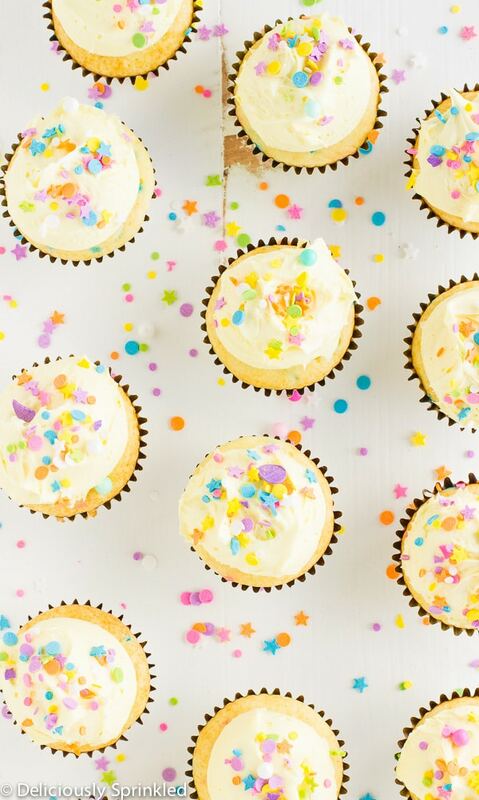 STEP 4: Decorate frosting with sprinkles.